This video shows Steve's lesson as he learns how to turn his hips in his golf swing with a main focus on the downswing. Steve has a common amateur golfer problem of creating too much lateral movement in his golf swing known as a sliding or swaying movement in a golf term. This video discusses and shows the lesson progress as he learns how to move his hips correctly in his downswing creating more power and control over his driver. Steve like a lot of golfers struggles with his club path and this is due to the tendancy of leaniong back which forces the eraly release on his golf swing which causes a discrepancy of an out to in club path and occasionally an over the top downswing causes pulls, or compensates by leaning back leading to in to out swing path forcing the push. The point being Steve is trying to hit the golf ball further but also hit the golf ball straighter too. So weight transfer is really important move in the golf swing and focusing Steve's attention on getting weight into the left heel in the transition is key, also allowing his left knee t flex and aim more out to his target helps his hips rotate correctly in the start of his downswing. If Steve can get more solid looking start to his downswing it will give him such a stronger, more repeatable, consistent impact position helping him improve his golf and his handicap. Steve is keen to play better golf under pressure and knows the importance of good technique so he can improve his performance in tournament competition golf. 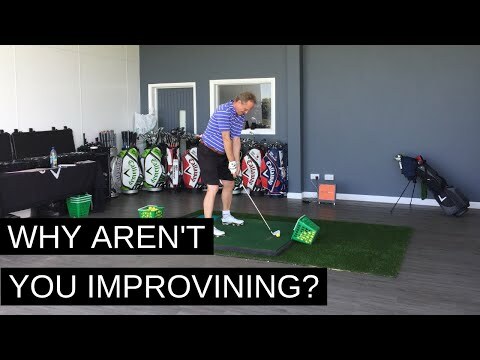 So the aim of this video is for you to understand how golf lessons work and to get a feel of what its like to have a golf lesson, whether youre a beginner golfer, senior golfer, lady golfer, experienced mid or high handicapper golfer. 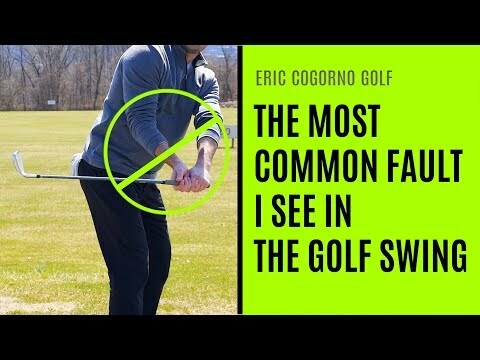 This is the biggest fault I see with amateur golfers and getting the movement of the hips wrong has a massive impact on the problems with shallowing the golf club, keeping the golf club on plane, and impact. 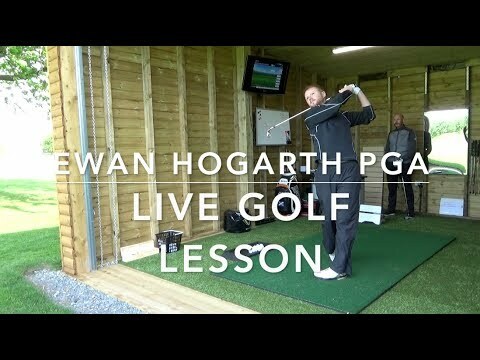 There are some great tips in this video and some great exercises for how to get great hip rotation in the golf swing and i'm sure it will make a massive difference to your game. This video shows Steve’s lesson as he learns how to turn his hips in his golf swing with a main focus on the downswing. Steve has a common amateur golfer problem of creating too much lateral movement in his golf swing known as a sliding or swaying movement in a golf term. So weight transfer is really important move in the golf swing and focusing Steve’s attention on getting weight into the left heel in the transition is key, also allowing his left knee t flex and aim more out to his target helps his hips rotate correctly in the start of his downswing. There are some great tips in this video and some great exercises for how to get great hip rotation in the golf swing and i’m sure it will make a massive difference to your game. Fair play to "Steve", can't be easy for an amateur to put his swing out there to be analysed by all of youtube's "keyboard scratch players". Good demonstration.